"It's red, it's blue, and now it has you." Pokemon Blue and Red are two twin GameBoy RPGs released in Japan in 1996 and started a worldwide phenomenon. My middle school years were defined by Pokemon and its omnipresence that ran amuck in the United States. The franchise never would have gotten off the ground if it wasn't for the success of the original games and their fantastic and innovative gameplay. These games are just as much fun today as they were when I first played them in 1999 and were strong enough to instill an appreciation for the series that lingers today. The modern games really have not deviated much from the core formula used in these games and they stand as masterpieces of the hand-held platform. The gameplay revolves around controlling a Pokemon trainer as he travels around the land of Kanto collecting and battling Pokemon while earning eight gym badges. The combat is based on traditional turn-based action and involves a team of six Pokemon you have raised. All Pokemon have strengths and weaknesses based on their type and techniques learned. This leads to a tremendous amount of strategy and customization that goes into creating a team and raising it. The game allows you to name your Pokemon and teach them a variety of moves and as a result you grow to care about your creatures and invest time into developing them. The real big seller is the ability to use a link cable to battle other people in real life. This led to hours of fun that defined my childhood, building a team and battling friends in the neighborhood. The link cable was also used to conduct Pokemon trades, a necessary job if one wants to collect all 151 Pokemon. The battle system appears to be very simple but this is only a veil behind a very elaborate and complex world of combat. There are a lot of statistics and ways to develop Pokemon that gamers are still obsessing over when it comes to this game. There are a few flaws that come with battling Pokemon, however. This game suffers from the traditional RPG element of very high random encounter rates, especially while exploring caves. You will be attacked by Zubats repeatedly and it really slows down the flow of the game. One also must contend with various attacks that will run continuously over several turns. There is actually a glitch in this game that allows a player to spam one of these lengthy attacks over and over until they win. Despite this, the battle system is highly addicting thanks to the customization you have over your Pokemon. Exploring Kanto is also a blast thanks to the abilities Pokemon learn that allow you to access new areas, similar to Metroid. There are secret dungeons and other optional treasures and Pokemon that can be discovered by exploring and utilizing new abilities, giving the illusion that you are in a bigger world than what actually exists. They do a great job pacing dungeons and gradually increasing the difficulty leading to a balanced experience that is occasionally hampered by high encounter rates. The original Pokemon games still boast some of the best gameplay ever seen in an RPG and will be fun for many years into the future. Pokemon Red and Blue have okay interface that have several features that have not aged well. One great thing to say is that you can save whenever you want and this proves to be very convenient considering how much there is to do. The ability to name your player, his rival and all of your Pokemon also adds a nice personal touch and gets you engaged with the story. For the most part, the menu is very easy to navigate and figure out but there are a lot of restrictions that make it a hassle. You have very limited inventory space and must constantly go to a storage location for excess Pokemon and items. Storing Pokemon is annoying as well due to them being placed in “boxes” that fill up quickly and require the player to manually switch them. I did not like the fact that one must go deep into the menu to use Pokemon abilities on the overworld map (cutting down trees, flying, etc) instead of just using a prompt on the overworld screen. While being able to save anywhere is a nice feature one must also contend with the fact that they can only have one save file per cartridge. The story is not really anything complex or amazing but is jam packed with charm and life and is able to reach the player on a personal level. You control a trainer who serves as a silent protagonist as he races against his rival (whom you also name) as you try to defeat eight gym leaders and enter the Pokemon League. I always liked how they allow you to name your rival as this leads to a lot personality and perhaps humor with the game. Along the journey the player encounters the evil Team Rocket, a mafia-like group that abducts Pokemon. I didn't like how one-dimensional Team Rocket is and their paper-thin motivation of money. Still, they are saved with the wonderfully-written script that is full of wit and humor. The plot follows more of a “slice of life” model that moves at whatever pace you want and instead develops atmosphere very well. 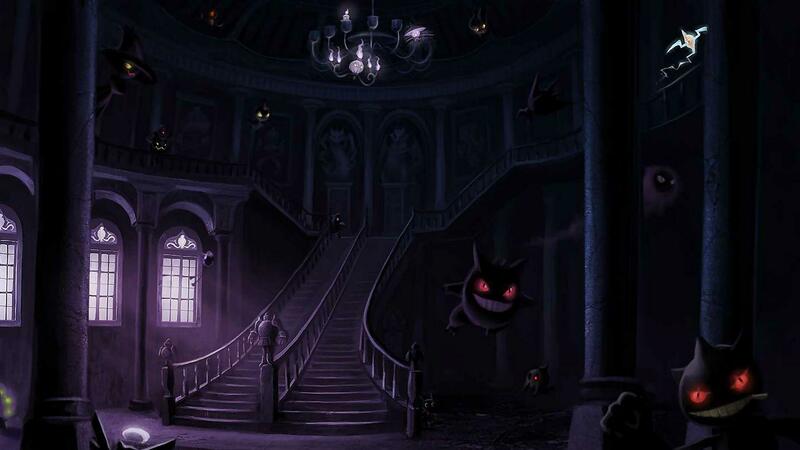 The most famous example of this is Lavender Town, a haunting place that is frightening thanks to the sad dialogue and music. The story does not have the most complex characters or intriguing climax but it has enough twists and excellent dialogue to make it easy to follow and buy into. The graphics may appear to be dated but there is still a lot to love about them especially when you consider this is a GameBoy game. Every Pokemon looks completely unique and full of detail although some of them look a bit odd and awkward (see: Blastoise's posture). I loved the fact that every town is unique and has its own identity and that attack animations are all unique to a certain move. This adds a lot of variety to the visuals and keeps them fresh. Sprites are not nearly as varied and repeat frequently. The same can be said about certain dungeons that utilize mostly the same textures throughout the game depending on what kind of place it is (cave, building, etc). The animation is well-done and while Pokemon are static during battle there are enough attack animations to make you quickly forget about that fact. This is a hard category to analyze due to the fact that all of the audio in this game is very nostalgic for me. Music plays a powerful role in evoking memories of the past and can really transport you back to happier times as a child. This is accomplished thanks to an expertly-crafted soundtrack that easily overcomes the limitations of the hardware. There is a lot of texture and variety to the music. The bass sounds can really bring a lot of life to a song and make it sound intense, haunting, etc. The only downfall with the music comes with the fact that it can be repetitive, especially the random encounter theme. Still, the soundtrack is generally regarded as one of the best for Game Boy and for good reason. The sound effects are equally as impressive and every single Pokemon has its own unique noise. There are countless numbers of sound effects employed and all of them sound great. Pokemon Red and Blue have very flexible play times. The particular run I did for this review was finished in 5 hours, 1 minute and 31 seconds but that is only because of how well I know the game and can get through it quickly. On average the game takes 30-40 hours when you really take your time to explore and develop a team and this proves a wonderful point about how flexible the play time is. The replay value is through the roof due to the innate desire to “catch ‘em all” and battle/trade Pokemon with real-life players. There are side quests and optional content also to be had. I have been playing this game for 15 years and will probably play it in 15 more. Pokemon Red and Blue are among the best games ever made for the original GameBoy and have been loved by millions of people. This is the number one RPG I recommend to casual gamers interested in the genre because it is easy enough to get into and people love the customization that comes with it. There are a few aspects of the game that were annoying even back then and certainly have not aged well; fortunately, the good far outweighs the bad. These games are a hand-held masterpiece and should be experienced by all generations, young and old.